We are thrilled to tell you that Warren Tyler has joined the team at the Floor Covering Institute and he'll be posting regularly here. Many in the U.S. flooring industry know Warren, if not through his many public speaking appearances, certainly through his regular column that has appeared in every issue of Floor Covering News since its inception. A true entrepreneur, Warren started his own installation and cleaning business at age 22 and followed that with a 27 year retail career as owner of home furnishings, kitchen and bath, antique, interior design and flooring operations in wholesale, retail and contract. When he sold his six flooring business in 1985, he embarked upon his present career as consultants, writer, motivator and professional speaker. Surfaces says he is their best attended and highest rated speaker. He's a straight talker and like every other member of the institute - he loves the floor covering industry. What is it about this industry that engenders so much dedication to it? That's a conversation for another day. Today, lets enjoy Warren as he introduces himself in the way that only Warren can. Like an old shoe, I am hard to get rid of which is why I’ve been around so long. I hated school. As a child, the last day of school each year was anticipated more than Christmas. It was with a sense of amazement that I watched members of my graduating high school class weep because they were leaving school. If it wasn’t for hockey, I would never have spent two years at the University of New Hampshire, I just wanted to get going with my life. Upon discharge from the military, I took a job with a carpet and rug cleaning operation which at the time had three other employees cleaning. Within three weeks, they were all fired which lead me to the fact I could do as much work as all three of them. This where I learned that one never works for the boss, you should work for your own self pride. While there I learned installation according to the book and became an independent carpet installer. With two helpers we were able to install the living room, dining room, hall and stairs in as many as three houses in a day. At age twenty-three, I opened my first retail flooring operation. At the time I was married with two children and no money. The landlord, a builder wanted three months security to move in. My retort was that not only couldn’t I pay the security, but it was a good bet I wouldn’t be able to pay rent for a few months. After a few months of constant pestering, he allowed me to move in and I guess he made me his flooring source so I could pay the rent. This is when I found out I could sell. After nine years in the business, I sat in my driveway in suburban New York unable to move for twenty minutes. That night I drove to New Hampshire on a rainy Friday night. By Monday morning I had a job, a company car and credit card as well as a house. I closed my business and in three months I became the top salesperson for a 28 store home furnishings chain. Many opportunities presented themselves in the ensuing years and eventually I had six flooring stores in New England that were market leaders. I sold them in 1985 and soon after, a chance meeting with Al Wahnon in Atlanta gave me the exposure I needed to become one of the best known figures in floor covering. Starting as a columnist and consultant, my career quickly morphed into that of a professional speaker. 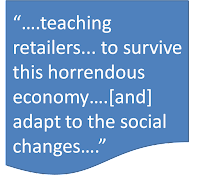 I always had a theme: Years ago it was “How to Bury the Big Boxes!” Today, it is “The New retail Paradigm!” teaching retailers not only how to survive this horrendous economy, but how to adapt to the social changes and prosper. From the beginning, my vocation has been my avocation and since starting this new career twenty-six years ago I have had a passion to teach fellow retailers and salespeople how to succeed. The people I have met have motivated more each year from watching a former cleaning lady sell over $800,000 her first year in sales to a middle-aged super star who was responsible for $15,000,000 in tile and stone sales each year. As I researched and learned more and more about success in this industry over the years, I have put this knowledge to print in six best-selling industry books, the most sophisticated DVD sales program in the industry as well as scores of learning materials custom designed for industry companies. I have taught and completed projects for leading retailers as Einstein-Moomjy, Pierce Flooring, Bon Marche’ and Cole’s Fine Flooring of San Diego as well as the top five distributors in the country and many suppliers including Lauzon, Fabrica, Nourison and Milliken. My best clients have been the retail groups—CCA Global, Abbey Carpet and Alliance Flooring where I have been a featured speaker and educator for years. I am very pleased to join the Floor Covering Institute and serve our industry with these top industry professionals. I look forward to contributing to this blog and communicating with you here. I'd love for some of my retailers to contact me - just post below and tell me what's on your mind. 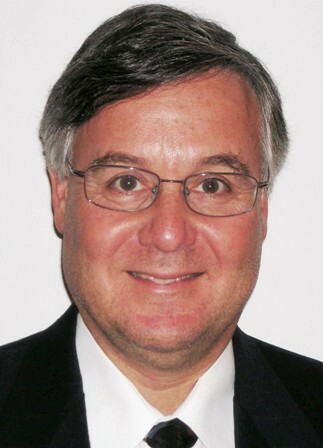 Warren Tyler is a professional speaker, retail consultant and educator as well as author of several books, CDs and DVDs targeted toward flooring retailers and salespeople. He is also a consultant with the Floor Covering Institute. If you had attended the latest Floor Covering Industry B2B Association seminar, you’d be impressed by the new and modern vision for B2B in the floor covering industry. You’d be right to think it has more to do with iPhones and iPads than with electronic data interchange (EDI) or file transfer protocol (FTP) - old terms that scare way more businesses than they attract. But as forward thinking and exciting as the new vision is, a new disconnect is developing that may keep the flooring industry from keeping up with consumers who’ve come to expect information at their finger tips. There is good news. The proposed B2B solutions are the right technology for the new consumers who want information quickly. The bad news is that the flooring industry is not using the available technology to respond quickly. Perhaps even worse, while we languish in our old comfort zone, consumers are creating new habits of getting better and faster answers from competitive channels - ones who have embraced new technology. I fear we are cloaked in old terms and ways - we need to move beyond our comfort zone to ensure we do not lose touch with our consumers. 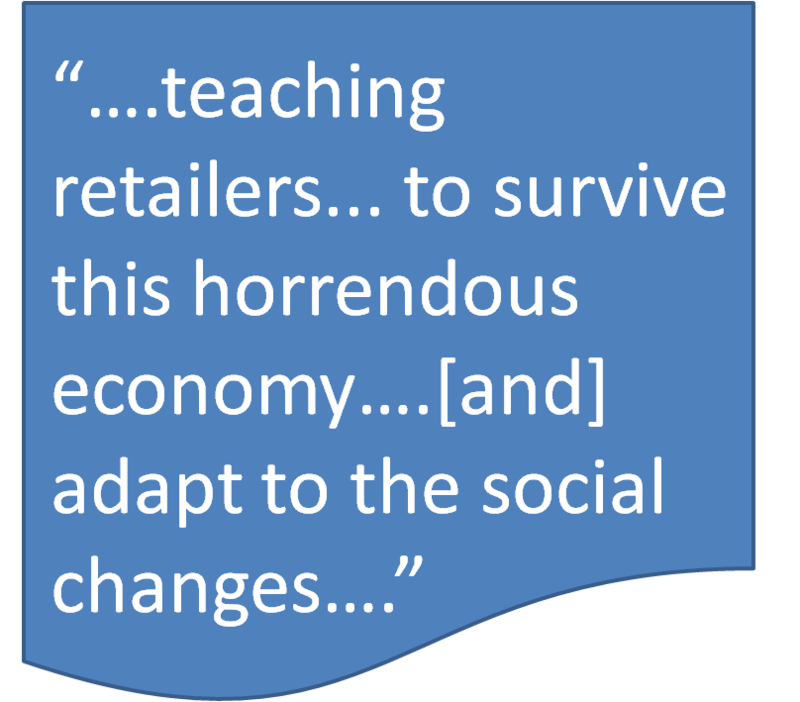 As Jim Gould warned us in his recent Floor Covering News editorial "Reaching the consumer in a changing landscape," monolithic supply chain models of the past will not survive. Who is B2B really designed to serve? The old business to business technology was originally intended to serve the flooring retailer. But today the target is anyone who needs an answer about flooring – that includes technology savvy consumers, retailers, sales consultants, designers, architects or a salesperson on an in-home visit. B2B should work for the flooring industry the same elegant way web services work at the Apple Store – via phone or mobile device - regardless of our one, two, and three-step distribution maze. Consumers don’t care how many distribution layers it takes to service them; retailers don’t care how many computers it takes to communicate the information they need. Our business models are complex, but if we rely on that excuse we will be replaced by new businesses that are not bogged down in old ways and habits. In December, 2010 I wrote about Web Services - the latest format for flooring B2B. (How can b2b revolutionize your business) and in June the flooring B2B community previewed a working prototype which was designed and explained by Armstrong’s Bill Hutchinson. Bill’s prototype can be used by any flooring company that wants to get involved with these latest developments. For ten years the Flooring Industry B2B association (www.fcb2b.com) has worked hard to motivate suppliers and retailers to adopt their B2B standards and most of the important foundation building for web services is ready. We have an industry organization (www.fcb2b.org) represented by a broad and inclusive set of companies from all sectors of our industry with a working charter, committees, funding (though it could use a lot more), and an active and engaged membership. This is perhaps the most telling question. Let’s be honest; we built B2B using the old EDI model of transmitting batches of data, and not enough retailers came to the party. We have some good excuses, like “the world changed the way business was done while we were working on the old plan.” Now, with slimmer margins and increased pressure to reduce expenses, I doubt we are going to see a big increase in the adoption of EDI-style B2B at retail. Let’s not waste any energy on regrets. That’s water under the bridge, and we didn’t waste our time. Much of what we built can be adapted to the new world. My prediction and fear is that if we don’t build it, they certainly won’t come. What will it take from our industry? • Every supplier software provider (or in house IT staff) must offer web service versions of their applications, as well as the ability to integrate third-party-provided web services into their applications. The end result must be information that can be viewed or transmitted from whatever device the user is comfortable using, even if the information requires data simultaneously from the retailer, the distributor and the manufacturer. What should the flooring industry do now? 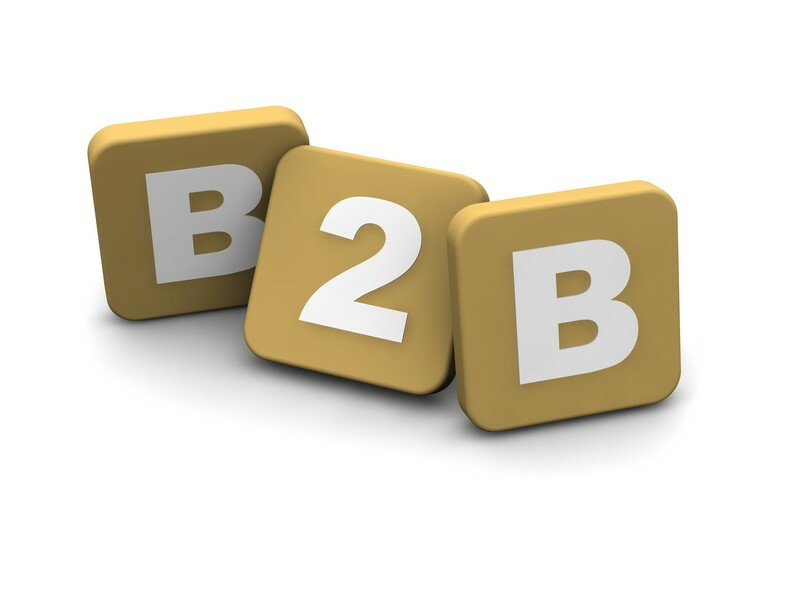 By now you may agree that “B2B” is an old term grounded in the past that doesn’t project its new capability or inspire new users. We need a new name for our web service technology and new inspiration to move the industry forward. Let’s start building these new web service applications, and cooperate as an industry so that anyone that asks about, purchases, or needs service on any of our flooring products can get the answers they expect and deserve. I look forward to your comments. Please visit the fcB2B web site http://www.fcb2b.org/membership.php for further information and to see what you can do to help. Thank you. Weak economic growth, declining consumer confidence, and the daily reports of a possible Federal government shutdown could cause any businessperson to become paralyzed when planning for the future. However, companies are prospering and increasing their market share - by making acquisitions, offering new products, taking advantage of the growing US commercial market and of international selling opportunities. An article in the June 20-26, 2011 edition of Bloomberg Businessweek, “When Companies Buy, Investors Cheer” also made this point. The article states that a company’s share price outperforms the overall stock market when an acquisition is announced, since shareholders see the purchase of a competitor as a way to boost growth and profits. Acquisitions have allowed the leading floor covering manufacturers to increase share. Shaw-who acquired Anderson, Zickgraf, and Stuart Flooring, and Mohawk-who acquired Dal-tile, Unilin, and Columbia Flooring increased share and became major players in the growing hard surface product lines. According to the 2011 Catalina Report on Floor Coverings, Shaw and Mohawk combined to capture 42.3% of the total U.S. floor coverings manufacturer supply (shipments plus imports) in 2010, up from 37.6% in 2002. Mannington and Tarkett increased their share of the resilient flooring market by acquiring rubber flooring manufacturers. Tarkett could make further inroads in 2011 due to the late 2010 acquisition of Centiva, a luxury resilient flooring manufacturer. Aggressive companies also gained share by introducing new and innovative products. Mannington, Tarkett, and other resilient flooring manufacturers stimulated consumer interest in resilient flooring by offering glueless click vinyl planks and fiberglass-backed sheet vinyl flooring. These products make flooring replacement sales easier and less costly for value-conscious consumers. These new products contributed to making resilient flooring the leading industry growth sector over the past year. The June 2011 Catalina Floor Coverings Quarterly Update reports that resilient flooring represented 17.9% of total U.S. floor covering manufacturer square foot sales (shipments minus exports plus imports), up from 17.1% a year earlier. Carpet manufacturers are expanding their carpet tile lines to take advantage of growing commercial selling opportunities. Commercial sales are outpacing residential sales since corporate profits are growing at far higher rate than personal incomes. The growth in carpet tile sales can be seen at Interface, the leading worldwide producer. Interface dollar sales of carpet tile in the Americas increased by 11.0% in 2010 and by 8.0% in the first quarter of 2011. The first quarter increase was led by a 24.0% rise in sales to the corporate office market. Shaw responded to this growth by announcing an expansion their carpet tile plant in Cartersville, Georgia. Shaw is also opening a carpet tile plant in China. Companies, however, are also going direct by exporting flooring coverings to consumers in foreign markets. The Catalina Report’s analysis of U.S. floor covering shipments uncovered an 18.7% increase in US floor coverings export shipments on a square foot basis in 2010. At the same time, US manufacturer shipments to domestic customers, in square foot, declined by 3.1%. Square foot US export shipment gains to China, India, Saudi Arabia, and Singapore rose by more than 50.0% in 2010. Selling opportunities increased sharply in these countries since economic growth in these countries averaged over 8.0% in 2010. This was more than three times the rate of economic growth in the United States. Increased demand for floor covering in China and across Asia is a topic that my colleague Jim Gould has talked about for a long while, on this blog and in other publications.Read The Great Urbanization: Threats and Opportunities for Floor Covering in China and India. These are just a few of the actions US floor coverings manufacturers, distributors, and retailers are making to survive and prosper. I appreciate it when readers share what their companies are doing to increase market share in these uncertain times and would love to hear more from you.